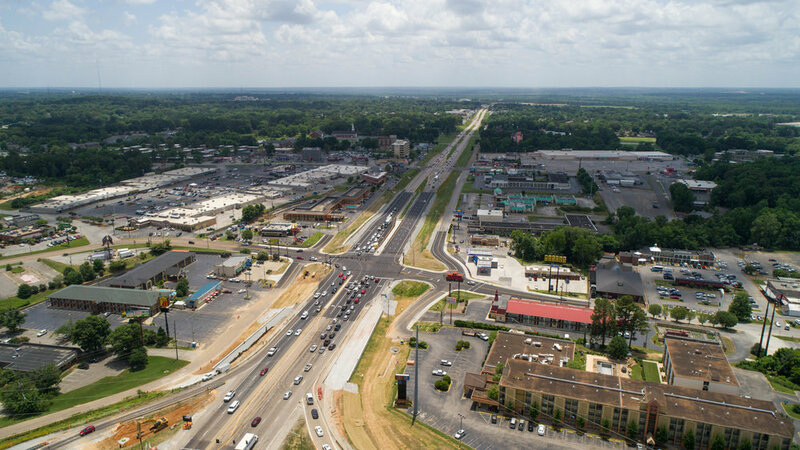 Once upon a time, the US-45 Bypass was built to smooth traffic flow on what we all know and love as Highland Avenue. 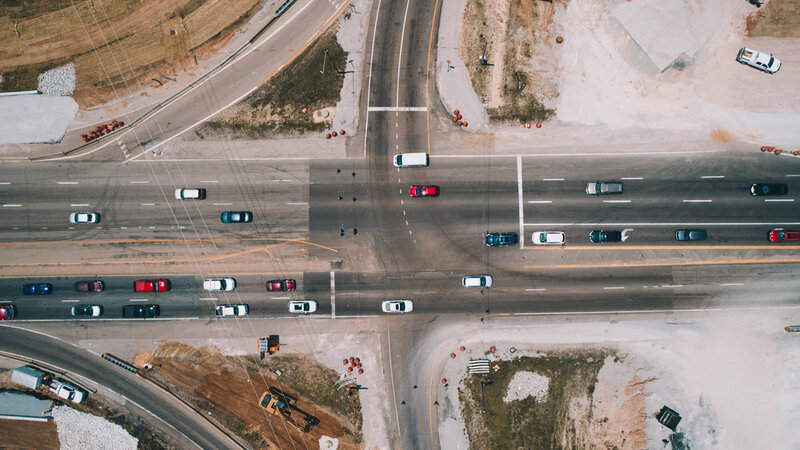 However, even upgrades need upgrades, and one needn’t be a native of Jackson to notice all the recent changes to the Bypass, particularly where it merges onto I-40 at Casey Jones Village. Sure, that’s an area with long-needed improvements (I have lived here seven years and have been scared of those intersections the entire time), but your average Jacksonian knows throwing in new traffic lights didn’t help matters. But never fear—there are ways to get around Jackson without the Bypass. Let’s take my usual morning commute: Summar Drive in midtown to Union University. Back in the day (i.e., last year-ish), I would have exited off of Hollywood to merge onto the northbound Bypass and coasted my merry self right into work. Fifteen minutes, tops; ten if I left early enough to avoid the first pangs of rush hour. It wasn’t a thrilling commute, but that was fine. I had it down to a science wherein I could catch almost every single green light and get to work with enough time to pick up coffee on the way. Then the renovations began. It only took one near-miss with someone speeding up behind me at one of the new stoplights to make me seek out a new route. So, without further ado, I present my favorite Bypass bypasses—and some gems you can find along the way. This is my favorite route because I find it the least stressful. I’m honestly surprised more people don’t go this way, but when I leave for work around 7:40 each morning, traffic is quite smooth—well, apart from the rousing game of Dodge the Manhole Covers. Sure, you can just bounce over each one, but it’s much more exhilarating to terrify your fellow commuters with periodic to-and-fro swerves. I enjoy driving down Hollywood because it’s a remarkably peaceful drive, apart from the manhole covers. There is little traffic at most times of the day, but what traffic there is feels spread out and not quite as jammed together as on, say, the Bypass. It’s also a surprisingly lovely route, and an unappreciated gem on Hollywood is Morris Nursery; what looks like an unassuming barn with a small parking lot is actually a massive oasis of natural beauty that seems to stretch on infinitely. Once you make it down Hollywood, you’ll cross under the Interstate and be on your way toward Country Club Lane. From here, you can reach Vann Drive without the headache, but if you’re heading to Pleasant Plains, you’ll enjoy the full length one of my favorite streets. In the spring and summer, Country Club is a green, curving path dappled with sunbeams and leaf shadows. Driving beneath the shade of overhanging tree limbs is a simple pleasure, one matched only by the joy of seeing the first spring daffodils punch through the grass to soak in the sunlight During the fall, the trees trade their emeralds for rubies and topazes, changing the high yellow sun of summer to the soft golden gleam of autumn. I think some people avoid Country Club because of Jackson Christian's school zone. I get it: fifteen miles an hour can be annoying when many people take that road at forty-five. But it does give you a little extra time on a lovely drive. Besides, that's about as fast as you'd be going on the Bypass. This is a tricky route to take because North Highland seems constantly jammed with bumper-to-bumper traffic, but I like it because of everything you can find along the way. If I hop on Highland from Skyline, the first things I pass are the beautiful buildings of First Presbyterian and First Baptist. If you've never been on the property of these two churches, you are missing out. The grounds of First Presbyterian are where the Jackson Symphony holds its annual Starlight Symphony amid the massive trees and soft breezes. Any chance to hear the bells in the carillon is a chance well taken. Farther down North Highland, you can find the Shoppes at Northpark at the corner of North Highland and Wiley Parker. This underrated little shopping plaza boasts quite a lot to explore, not the least of which is Dumplins Bistro & Bakery. I've never had anything on their menu I didn't like. But because Dumplins is tucked away from the insanity of North Highland, so many people forget it's there. You could even make a whole day of visiting the Shoppes, what with the spa and various little stores there, the bulk of which are locally owned. The difficulty of traffic on North Highland shouldn't be a hindrance from exploring the pleasures of a small plaza of local businesses. Vann Drive itself is well-known for being a traffic headache, especially on Saturdays. And, yes, it’s very easy to get upset at the intersections where it passes under the Bypass, a place a friend of mine likes to call “Dysfunction Junction.” But I think the more beautiful thing about Vann Drive is the way it acts like a heart rate monitor for North Jackson. You can watch traffic ebb and flow through it depending on the time of day and the season of the year. At 7:00 A.M., it’s quiet—even peaceful—with the soft morning light gleaming behind the traffic signals. Or, on a summer afternoon, you might see more parents out with their kids, celebrating the end of school. For all our traffic complaints, Vann Drive stands as a testament to the life that Jackson has, a constantly fluctuating energy. I think Oil Well Road gets an unfair reputation the way Vann Drive does: there are a lot of things crammed into one small stretch of road, and traffic is almost always busy. (Ever notice how the major Jackson complaint is traffic? You’d think it was a problem or something!) What, pray tell, can be lovely about such a busy road? I like to think of Oil Well as another one of North Jackson’s main arteries. At one end, it connects to Pipkin Road, which makes for a beautiful Sunday drive the way that Country Club does—overhanging tree branches, soft light, the sense of being far away from the bustle of the city even though you’re right next to it. At the other end, it connects to University Parkway, lined by beautiful neighborhoods with flowering trees and charming homes. In the middle, it is a hub of energy and life, of people zooming around town not just to run errands but to explore—people who want to experience their city. Then, the hubbub opens to the lovely grounds of West Jackson Baptist Church with its small pond where geese pretending to be swans paddle about. Besides that, there’s just something so delightfully Southern about the name of the road. Midwesterners like me might make it a point to pronounce oil completely. Native Southerners might opt for oy-ul or ohl. You can tell a lot about where someone came from by the way they pronounce it. Connected to Oil Well, Pleasant Plains is a delightful little drive—one might even say pleasant. Certainly, there is the academic elegance of Union's campus on one side. Lovelier, though, is the sheer amount of green. Across from the college campus are miles of hiking and biking trails, weaving through woods you may never have known were so large. Similar to the greenhouses of Morris Nursery, once you get into the woods, you cannot hear the road. You're never very far from "civilization," but the woods quickly consume you, wrapping you in the flutter of bird wings and the hum of summer cicadas and pulling you away from reality into some sort of in-between fairyland. Sometimes, Union art students even set up installations in the woods; my sister once built a stone cairn accompanied by a wooden cross to create a worship space in the middle of the pine straw and oak leaves. I do not know if it's still standing, but every time I drive by those woods, I think of it and of how beauty can be found in the most unlikely places, like a dogwood blossom tucked under a leaf. There are so many ways to navigate Jackson without taking the Bypass. Coming from Humboldt, Milan, or Martin, you could jump onto Old Humboldt Road. To get from Oil Well to Wal-Mart, you could veer through cozy neighborhoods and pop out on Stonebridge. While I cannot cover every lovely little side-street and route away from the beaten path, I can look for new, lovely things on uncommon—and even well-known—routes. No matter what street you take to get to your destination, I have learned that what matters most is seeking the good where you are—finding something beautiful in your everyday drives, even when you're avoiding construction and slow traffic. This city is our home. Why not explore it? Formerly a Louisianian and then a Midwesterner, Stephanie Traylor graduated from Union University in 2015, and Jackson hasn't been able to get rid of her yet. She lives in a cozy, yellow-doored midtown house with two born-and-bred Jackson natives: her cats. Photogragher Trevor Masterson is a local filmmaker/content creator from Jackson and video and film production major at Middle Tennessee State University.